The city of Kingston is a cheese lover’s paradise, with many fine cheesemakers located just a hop, skip and a jump away. 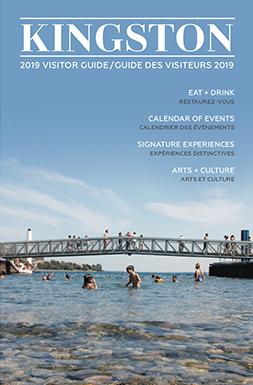 Take a short walk downtown or drive down the 401 to discover some of Canada’s best artisan cheeses in an array of shapes, sizes, smells and colours from coast to coast to coast. 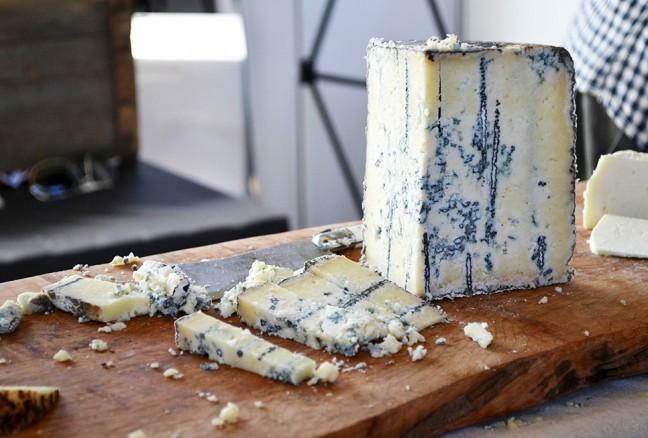 Ontario’s Back Forty Artisan Cheese’s Highland Blue – Semi-firm, unpressed blue mold cheese with natural rind. When buying cheese, it’s best to find a reliable source like a specialty market or gourmet food store to ensure that the products are in the best condition. Each wheel of cheese should have a moist rind while every wedge of the cheese should display consistent full flavours throughout from batch to batch. A general but important rule of thumb is to ensure that the interior of the cheese is bright and shiny, never dull or faded. Knowledgeable staff i.e. cheesemongers are key, and within the City of Kingston, you are sure to find what you are looking for. As cheese lovers, we celebrate the passion and dedication of cheesemakers throughout the country – let’s cheese out! A true historic staple in downtown Kingston, Cooke’s is a specialty food store with imports mainly from the UK. It is a blast from the past with old wooden counters and the original pressed-metal ceiling still intact. Aromas of fine food fill the air, though when it comes to cheese – a counter is tucked away to the back left corner with hidden gems waiting to be tasted. How about Guinness Cheddar? Pan Chancho is a go-to spot in Kingston for brunch, this retail store with gourmet food to-go also has a fine selection of cheeses that are sourced both locally and nationally from across Canada. Pairing with a loaf of artisan bread made fresh daily (I recommend the olive and rosemary baguette or French batard) will surely satisfy your cheese indulgences. Known for creating a fun shopping experience, Farm Boy is a specialty grocery store located in the west end of Kingston. Their cheese counter boasts over 100 different quality cheeses, and includes a specialty Italian section, plus well-trained staff to answer any of your questions. 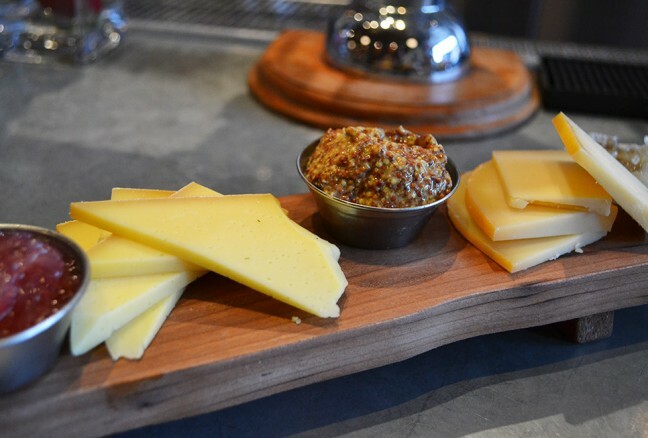 Love charcuterie and artisanal cheeses? The best charcuterie in Kingston isn’t just plates of cold cuts and crackers, but rather a myriad of fruitful tastes, textures and aromas to compliment the cheeses offered. 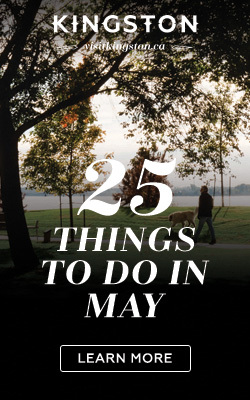 Luckily for Kingston locals and visitors alike, this translates to an astounding collection of restaurants to choose from for diners looking to get their cheese fix. Inspired by classic French cuisine, Le Chien Noir is a proud proponent of using fresh, high quality local ingredients – sustaining the vision of farm-to-table comfort food. A wide range of different cheeses and meats are offered each week from across Canada – recently, the 2014 Canadian cheese of the year, ‘Le Baluchon’ of Quebec was featured. Charcuterie board from Le Chien Noir Bistro with two cheese options and cured meat. 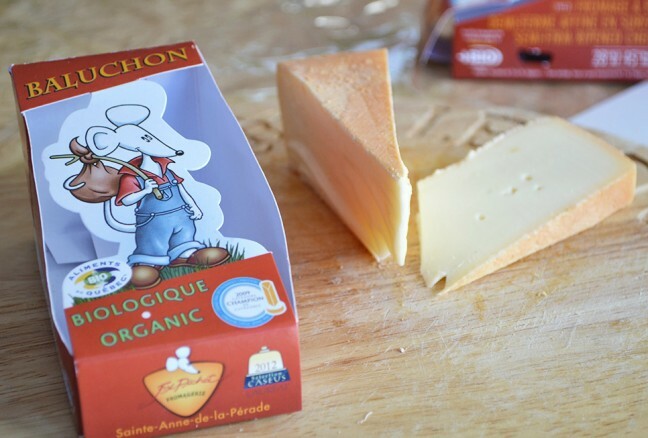 The 2014 Canadian cheese of the year – Le Baluchon from Quebec. Olivea is a modern Italian eatery located right across from Market Square offers meat and cheese boards accompanied by marinated olives, Italian condimenti and Ontario artisan cheeses – Lankaaster aged gouda (cow), Lindsay Bandaged Cheddar (goat), Celtic Blue (cow) and Mountain Shepard (sheep). Tango Neuvo embraces the Spanish tradition of sharing small plates of food, bringing people together, and of course, encouraging conversation – so why not mingle over a charcuterie board? Tango Nuevo’s offerings include a selection of cured meats, and local/international artisan cheeses along with seasonal fruits, pickled vegetables, olives, cranberry relish and fresh focaccia. At Chez Piggy, eating locally means eating seasonally and this summer’s menu articulates this notion especially well with their offerings of cheeses paired with slices of apples, grapes and crostini from Pan Chancho. Available cheeses include Highland Blue of Back Forty Artisan Cheese and Pilgramish of Bushgarden Farmstead Cheese. It’s “more than just cheese and bread” at MLT DWN, where comfort food has been taken to a whole new level with gourmet-grilled cheeses. Unique flavor combinations like their famous Mac N Cheese Grilled Cheese have been wildly popular. Their unique Lobster MLT summer feature sounds just as tempting – Wild Caught New Brunswick Lobster seasoned with MLT DWN’s own special blend of spices and paired with both brie and aged cheddar on thick cut Texas toast. Mouth watering, right? 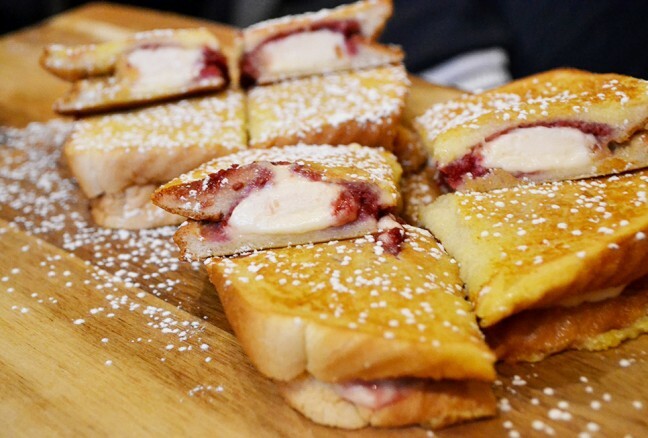 MLT DWN’s unique pairing of housemade raspberry spread, cheesecake and graham cracker dust on Texas dipped in crème brûlée French toast batter. Yum! This festival is indeed an homage to fromage founded by “head cheese” Georgs Kolesnikovs. 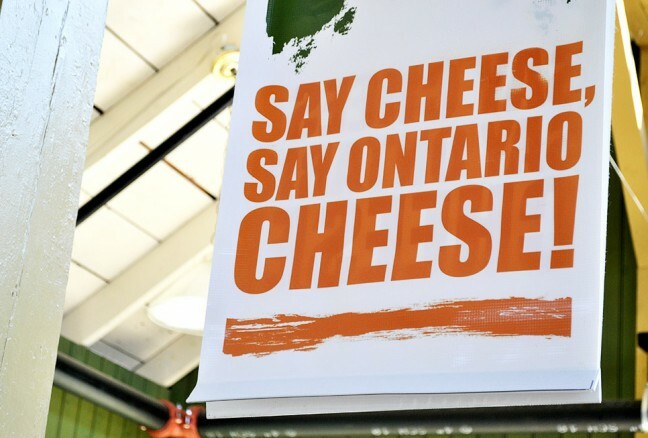 Held in Picton’s Crystal Palace – only an hour drive from Kingston, it features 125 different types of artisanal cheese from across Canada. The Great Canadian Cheese Festival brings together the country’s leading cheesemakers from coast-to-coast-to-coast, where cheese lovers can meet to learn, talk, taste and buy the best in artisan and farmstead cheese, as well as sample fine wine, craft beer and an assortment of artisanal foods.